4-Legs up BBQ and Steakhouse, located at 2212 Main Street in Great Bend, Kansas is one of my favorite BBQ restaurants outside of the Kansas City area. If the award ribbons and trophies that decorate this pace are any indication, owner Kelly Wertz knows a thing or two about cooking great BBQ. In fact, Kelly is no stranger to the world of competition BBQ. His cooking has garnered him quite a reputation as a champion. This past December, on a trip to Hays, Kansas, I was delighted to see that Kelly had brought his BBQ trailer to town and was set up to sell portable food vendor style. This was quite possibly the best food you buy in Hays on that particular day! I had a rib combo, including pulled pork and cheesy potatoes. When asked if I wanted any sauce, I told Kelly, “No, because it was probably going to be so good that I didn’t need any.” Later, I realized the mistake I had made, because even his BBQ sauce is award winning. Needless to say, the ribs and pulled pork were tasty, even when served up sauce free. And, I could probably eat about a gallon of the potatoes! 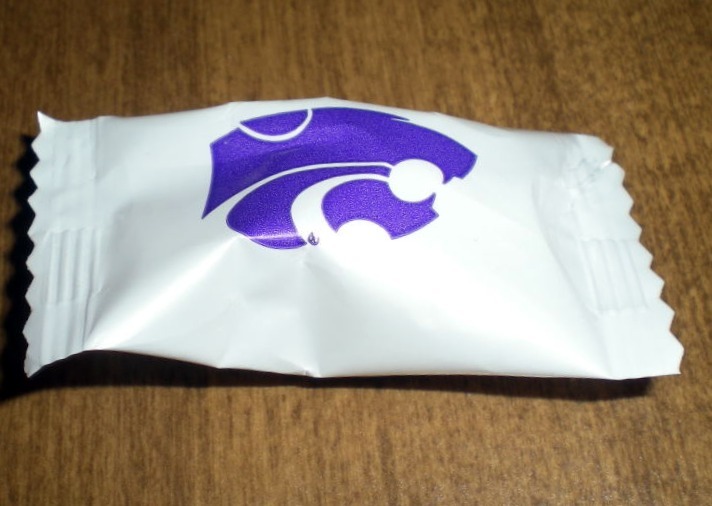 I completed my meal with a Kansas State University Wildcat’s mint. Not only does Kelly know a thing or two about BBQ, but it seems he knows about great schools also! 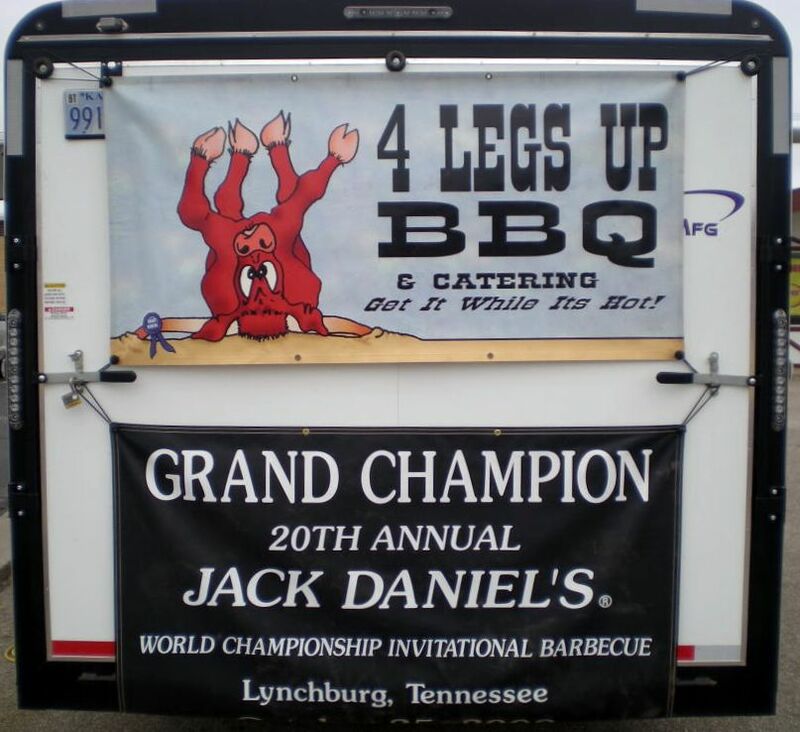 If you live in central Kansas, you owe it to yourself to make the trip to Great Bend to eat at 4 legs up BBQ, and who knows, if you’re lucky, you might find them in Hays, as well! We talked with the Kansas Pork Association about giveaways for 2011 and came up with a really neat idea. We’re going to go pretty light on the giveaways until summer and grilling season. We’ve decided to go whole-hog (please forgive the pun) come summer with a really snazzy grill giveaway! 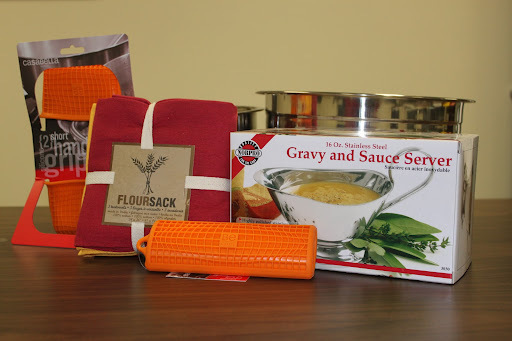 So, this weeks giveaway includes a recipe booklet that we know you’ll love. The recipes inside are tasty, versatile and simple to prepare. 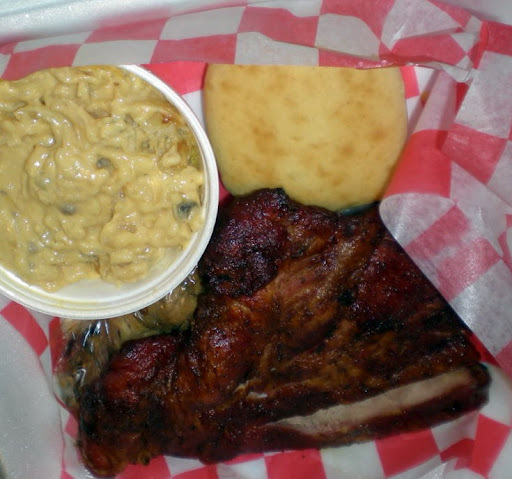 They include family favorites like pulled pork, ribs, pork chops, brats and Italian sausage. All recipes have 5 ingredients or less. Answer the question below, before Friday at 10 am to win. 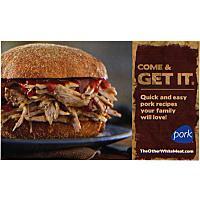 What is your favorite lean cut of pork? It seems that in every corner of the world a certain restaurant exists that hardly needs introduction to the public anymore, but still deserves to be propped up from time to time because of its excellence in such a field. One of those places is “Oklahoma Joe’s Barbecue” in Kansas City, KS. If you ask the locals about this place, you’re sure to hear the words “best barbecue around” uttered. The popularity of this place goes much deeper than basic urban legend too. 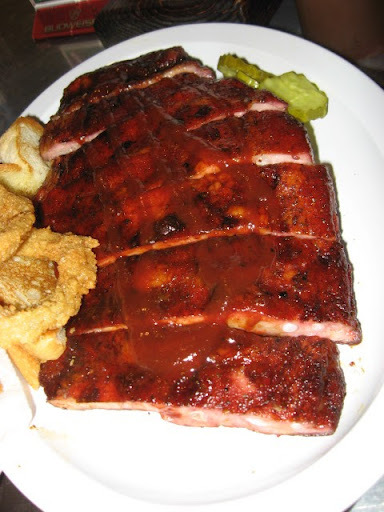 Oklahoma Joes has been named Kansas City’s best barbecue restaurant by Zagat in 2008, 2009, and 2010, and the overall third best place to eat in all of Kansas City. If that’s not enough proof for you, then consider that it came in at #13 on a list of restaurants from around the world put together by Anthony Bourdain of Travel Channel called “13 Places to Eat Before you Die”. Luckily for BBQ lovers, Oklahoma Joe’s now has two locations in the Kansas City area. 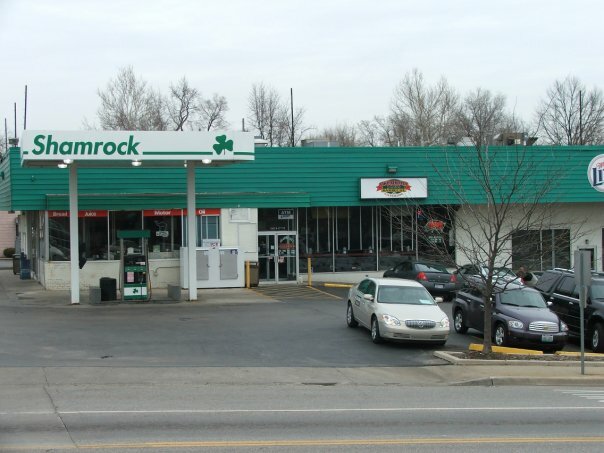 The original location, in Kansas City, KS, is literally inside a real, live working gas station on the northeast corner of 47th and Mission Rd. The second, newer location is in Olathe on the southwest corner of 119th and Strangline Rd., near I-35. I’ve been to both locations several times and am quite familiar with the food. With no reason to continue putting off doing it, I thought it was high time I wrote about this place for the Kansas Pork Association. On my latest trip I decided to go to the Olathe location because the lines tend to be a bit shorter there (something to keep in mind if you’re deciding which one to go to). I had the “½ slab meal”, which consisted of a ½ slab of ribs and one side dish. It was all excellent to say the least. The ribs were lean and moist, and simply fell of the bones. They were in no way tough or dry, and required no sauce, even though I did put a little of the sauce on them because it is so good at this place! From my past experiences I can say wholeheartedly that when it comes to pork barbecue, you cannot go wrong with this place. The pulled pork, the pork sausage, the ham, and of course the ribs are all as good as you will find as far as I’m concerned. The fries, beans, onion rings, slaw, and other sides are absolutely amazing as well. The Original Oklahoma Joe’s. Compliments of Facebook. If you want to eat at one of the best barbecue places Kansas City has to offer and have a unique atmosphere in which to dine, then you can’t go wrong eating at OK Joe’s. If you get to choose between the locations, I’d be lying if I said it didn’t matter which one you went to. If you have the option, go the original one at least once, for the experience if nothing else. This is not a “fine dining” experience with linens and candles on the table. It’s loud and a bit crowded at times at the KCK location, but that’s the way good, fast barbecue ought to be I think. If the new one is simply more convenient for you, go to it, because the food is just as good, and like I said above, the line to order tends to be shorter and the place is not as crowded. Spices at the Kansas City Barbecue Store. 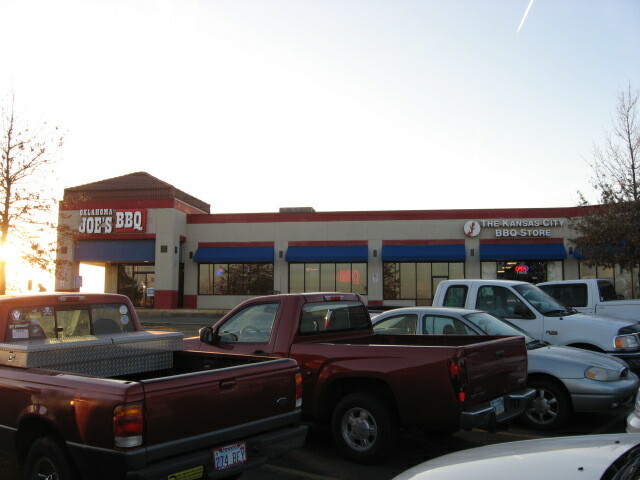 An added benefit to going to the Olathe location is, as you can see in the first picture in this post, it sits next door to the “Kansas City Barbecue Store”. They fittingly share an interior door that is a gateway from one BBQ paradise to another. The Kansas City Barbecue Store is a true one-stop shop for those interested in smoking and barbecuing meat. 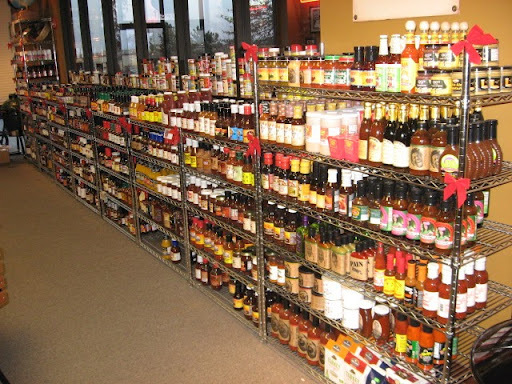 There are more sauces and dry rubs than you can count, as well as smokers, wood pellets, cookbooks, and kitchen tools galore. If you’re in the neighborhood, stop in. Whether you’re an avid meat smoker or just a person looking for a new bottle of BBQ sauce to put in the fridge it will be like a trip to Oklahoma Joe’s, you won’t be disappointed. This smorgasbord of kitchen fun could be yours. This week’s giveaway, made possible by the Kansas Pork Association, is from a quaint little store in St. Marys, KS named Florence Adams. If you ever find yourself in the St. Marys area, we strongly suggest that you drop by and take a look around. It has clothes, kitchen accessories and an assortment of interesting gifts. The giveaway includes: (1)16 oz. Stainless Steel Gravy and Sauce Server; (1) 5 Qt. Stainless Steel Mixing Bowl (1) 3 Qt. Stainless Steel Mixing Bowl (3)Flowersack Teatowels and (1) set of Casabella Gourmet silicone pot and pan grips. Answer the question below for a chance to win. We will randomly choose one person from the comments below on 11 a.m. Monday, January 10. Question: What is your favorite pork slowcooker dish or meal?